Studiomaster PX12+ Passive 12 inch 100W Stage Monitor Speaker BUY! 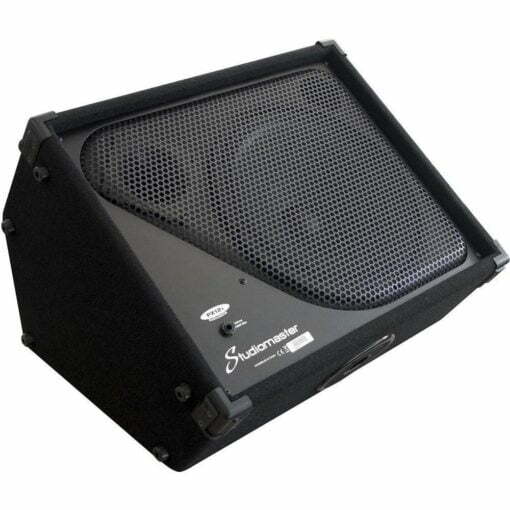 Studiomaster PX12+ Passive 12 inch 100W Stage Monitor Speaker BUY! The Studiomaster PX12+ Passive 12 inch 100W Stage Monitor is designed for on stage monitoring during live performances. It’s rugged metal grill, practical angled design and custom designed low frequency driver give the PX12 both superior and reliable performance when you need it most. Robust and built to Studiomaster’s typical high standards the PX12 is constructed using a tough metal grill to protect the speaker from impact, an industrial black carpet covered outer to withstand natural wear and tear, corner protectors, feet and a scoop handle to make it easy to transport or move. Built for the stage the Studiomaster PX12 features a custom design, high output 12″ speaker in order to deliver a crisp clean sound that cuts through a live mix with ease. With this monitor in place the band or artist can finally concentrate on what matters…the music! 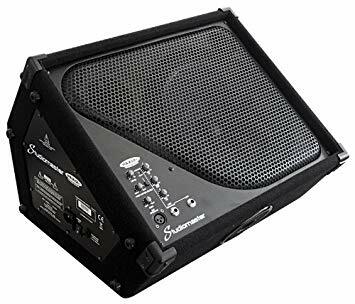 For any Questions about our Studiomaster PX12+ Passive 12 inch 100W Stage Monitor Speaker; or for Prices on delivery to the EU please contact us. Or; why not visit our Facebook page and follow us? You can see ALL the latest info as it happens!